Mums, dads and the kids can now put their collective running prowess to the test at Track Academy by Connie Henry, thanks to a free new monthly family programme. Family Mile Personal Best is held on the last Saturday of each month at the Willesden Sports Centre in Donnington Road. The programme, which launched in September, sees family members of all ages completing four laps of the outdoor track. These four laps are equivalent to a mile, and can be split up however the families see fit. For example, if there were four family members, they could run a lap each, or a parent could do two laps with two children taking one each. Each family’s time is taken at the end so they can see their improvements on a monthly basis. 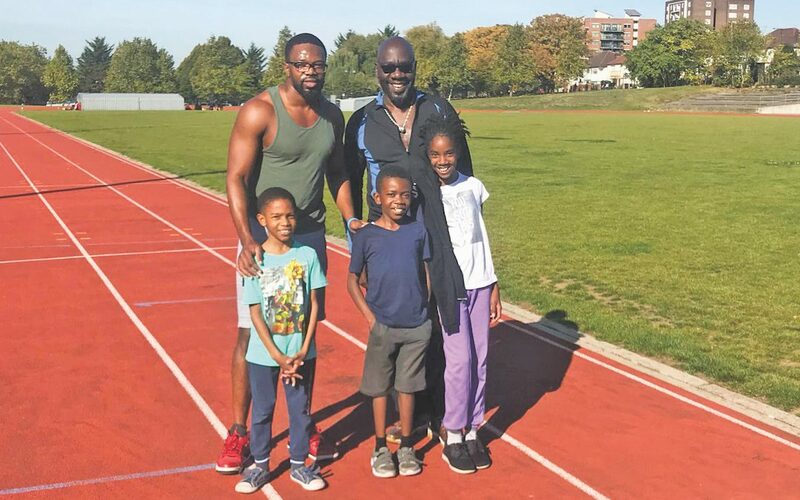 Track Academy founder Connie Henry said: “Exercising together is a great way for parents to spend some quality time with their children in a fun and healthy way. Family Mile Personal Best helps everyone improve their fitness and motivates them to improve their performance month on month.